Paul Brewer wrote me a week or so ago to tell me about a lecture he was giving in New Zealand on the Alexander Palace. For years Paul has been a big advocate for the Alexander Palace there and he told me the lecture was a great success. In his email he asked if I had any images of the English Palace at Perterhof, which was another Russian palace that interested him. Well, Paul, here you go! 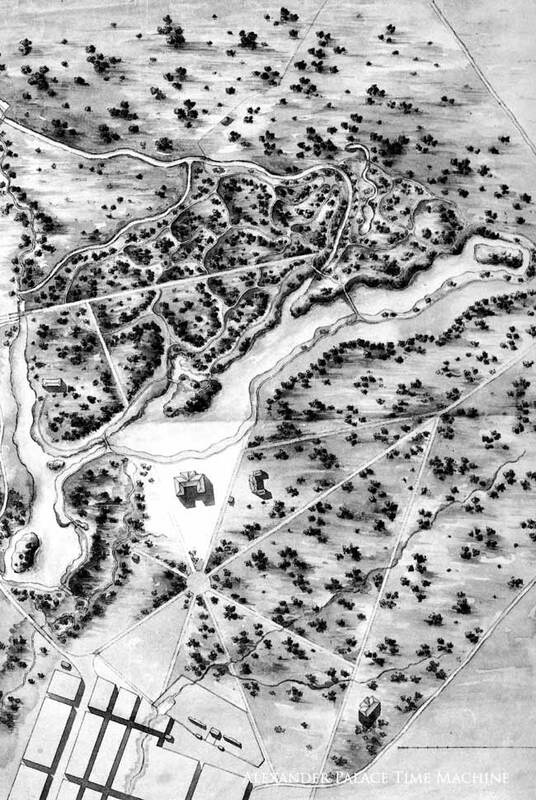 I have been planning to create a site with zooms of the English Palace but haven't been able to get to it yet. 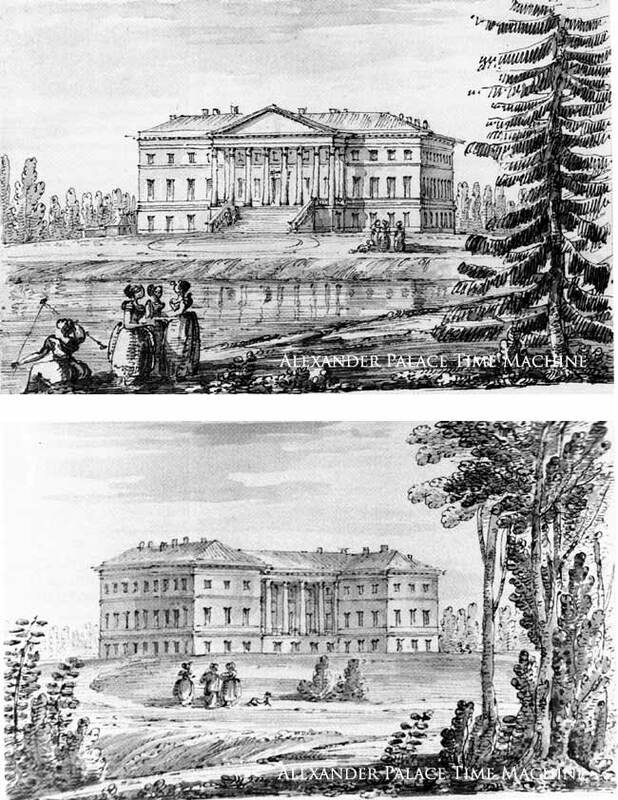 In the meantime here are some images, drawings, plans and photographs of the English Palace. This palace was heavily damaged in WWII from shelling. Its ruins were dynamited after the war. Little or nothing remains. 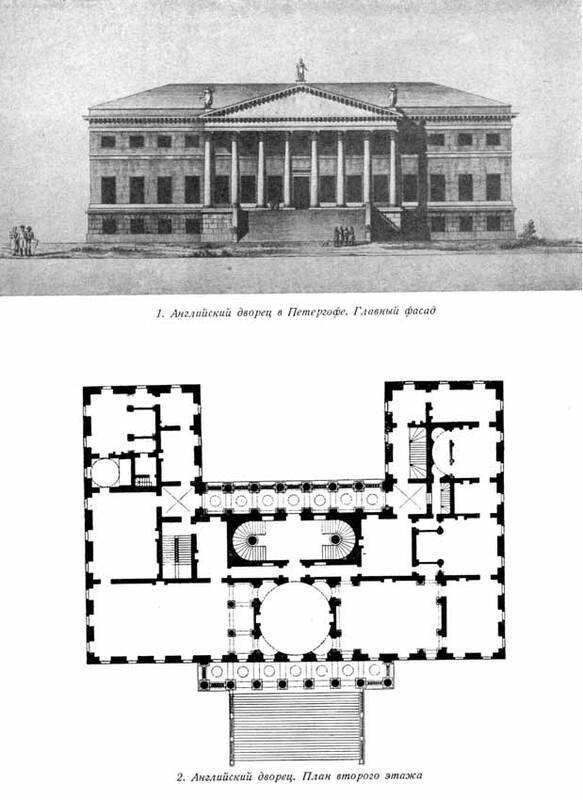 Catherine the Great ordered the palace from the Italian architect, Quarenghi before he did the Alexander Palace. 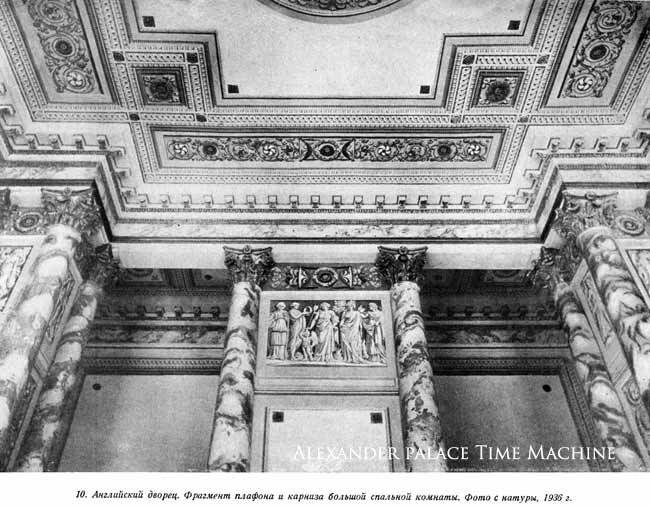 It's interiors show what the Alexander Palace might have looked like had it been constructed ten years earlier and its interiors had been completed. 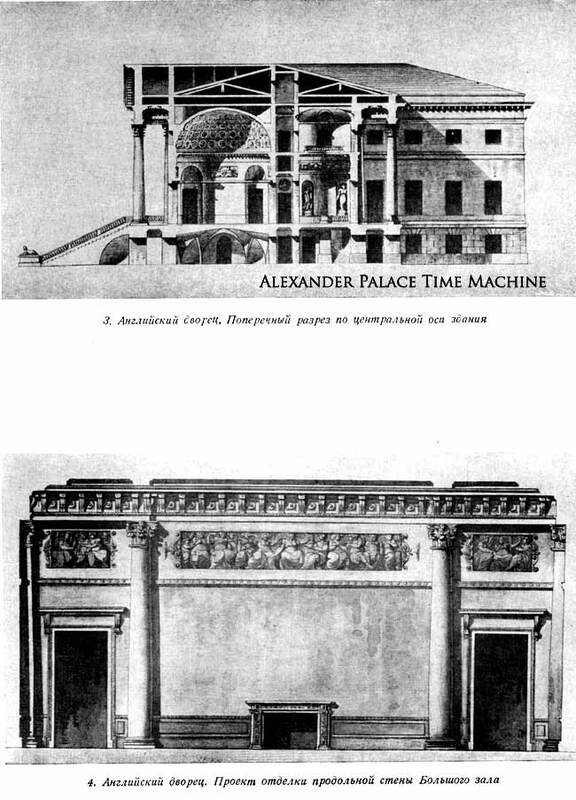 The Alexander Palace was never really finished to plan. 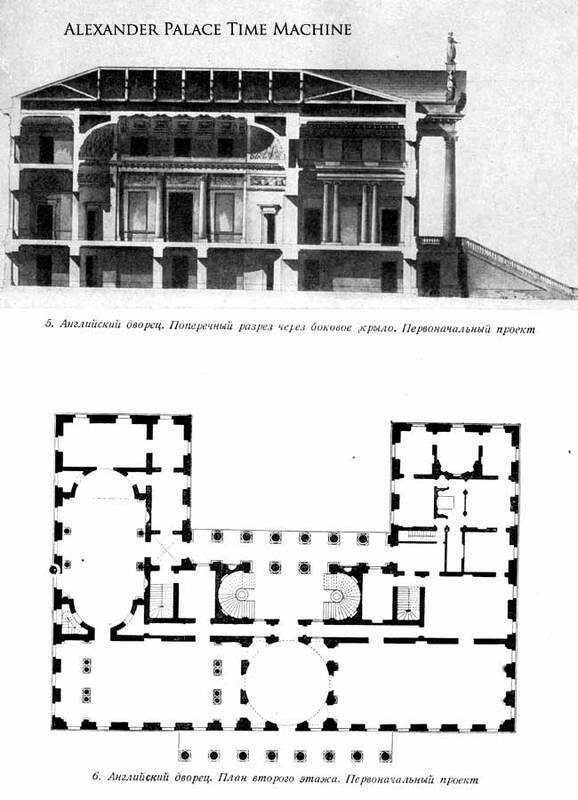 Catherine died before the interior decoration was done and after she was gone changing tastes, a lack of money and focus meant neither Paul I or Alexander I completed the Alexander Palace to Quarenghi's plans. Some rooms - like the Marble Hall, the Formal Reception Room and the vanished Concert Hall show what the rest of the palace might have looked like. 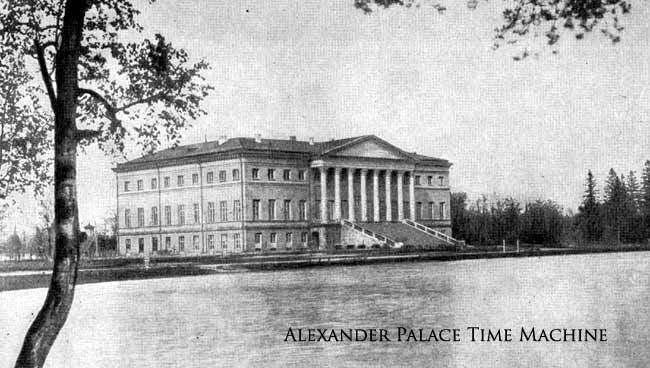 Together the chaste English Palace, with its incredible setting; and the Alexander Palace with its regal, double row of Corinthian columns are the two finest examples of Catherinian Classicism in Russia. They are also the two most splendid examples of late 18th century Palladian architecture in the world. I hope the English Palace - at least the facade - will be rebuilt one day. 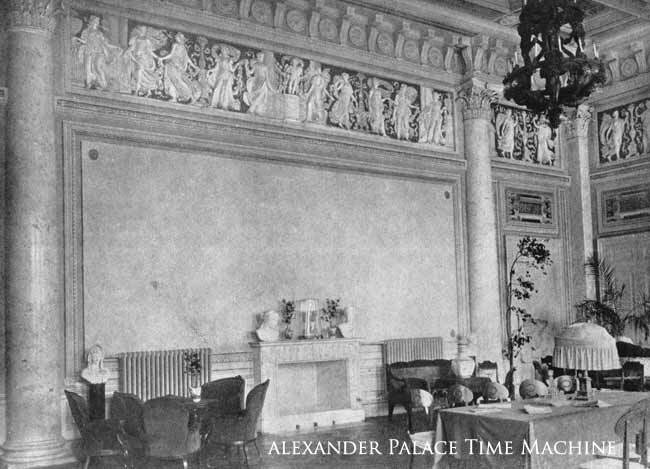 Bob Atchison has had a life-long fascination with the Alexander Palace, which began when he was a child. He was the first American to visit the palace officially since 1941 and was instrumental in its reestablishment as a museum. Bob was the protege of Anatoli Kuchumov, former curator of the Palace before the war, and he created this website in 1996.